International Movers and Packers - Compare International Movers & Save up to 70% ! Using Intlmovers can help you quickly and easily compare services and prices from different movers and packers for your international move. By comparing offers, you can easily find the right international moving company. 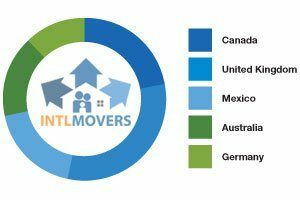 This company will help you with your international moving. The movers and packers will provide you with information and advice on best practices for secure packing of your valuable items. International movers and packers are specialists in ensuring that your belongings are carefully looked after. It’s important that they are packed correctly. This helps to ensure that they are subject to as little stress as possible during transit. Our experts will use the right packing materials and handle your belongings with care. They ensure that the packing and moving of your goods goes smoothly.